Hello, and welcome to Episode 33 of the Planning Period Podcast, your #EdBreakroom. I’m your host, Brad Shreffler. 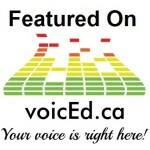 This week on the show I am joined by Chantal Larivière, a 20 year educator out of Ottawa, Canada. Chantal is a phenomenal teacher, and just a generally fun person, and through hearing her on VoicEd, I knew she would be a great guest on my show. Chantal and I talk about the need to let students have a voice in their learning, the power of Inquiry Based Learning, and respecting our students. Before we get to that though, I want to take a moment to tell you about another project I have going on right now. The students in my tech support class have recently started their own podcast, the StuDichotomy podcast. We call it that because it is 15 or so minutes of them having a conversation about two topics, one ridiculous and one serious. The best way to describe it though is probably with their intro, so take a listen. StuDichotomy has become a lot of fun to do, and my students are doing all the work at this point, from picking topics, to making the intro music, doing the audio editing, and even running the social media. So please, checkout StuDichotomy, currently available through VoicEd Radio’s SoundCloud channel, and coming soon to iTunes and other podcasting apps. But, for now, sit back and enjoy this episode of the Planning Period Podcast, my interview with Chantal Larivière. Thank you again Chantal for joining me on the podcast. 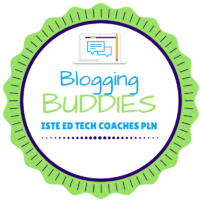 You really gave a great perspective on IBL and listening to your kids. If you want to connect with Chantal, you can find her on twitter, @Chantal_Koala. Before I close this out, I have one more favor to ask of you. 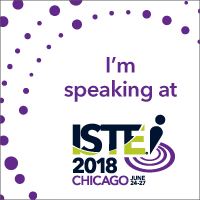 I am currently competing to present a session at ISTE about podcasting. I want to prove that starting your own podcast isn’t only easy, but should be a necessity for many teachers. As we argue the importance of making our students creator, it is critical that we do the same ourselves, and podcasting is a way to do that. In order to further that goal, I need your votes! Take a couple minutes and go to http://bit.ly/BradISTE and vote for my session. It only takes a minute to signup for an account and vote. You don’t even have to verify email addresses or anything, so it’s really easy. And thank you all that have already voted for your support. Until next week, just listen to your students.